Global Probes The diagram above shows eight unbiased stereological probes. Tissue is represented by the shapes outlined in red. From left to right the tissue is three-, two-, one-, and zero-dimensional. In other words at the left is volume, then moving right we have surface, length, and then number. 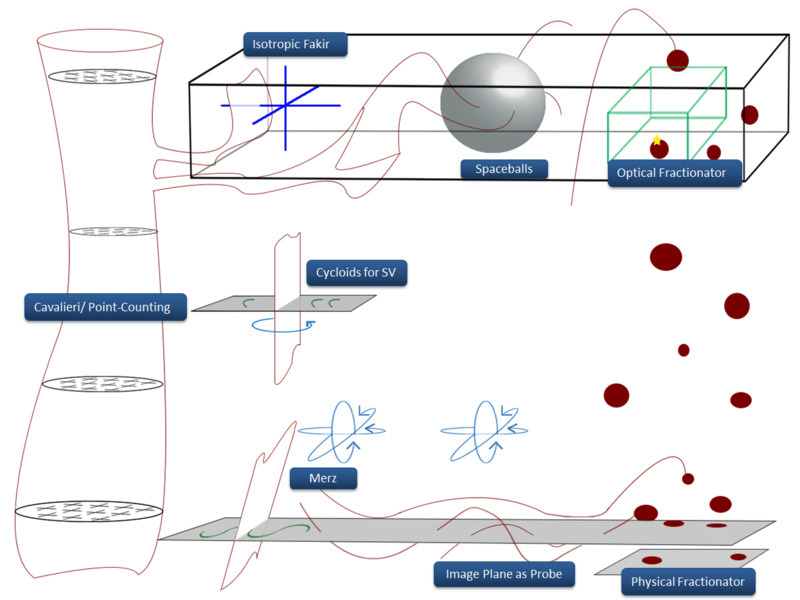 Please hover the mouse over the diagram to see the probe names, and click to see the purpose and requirements for each probe, along with example images of each probe in action, taken from one instance of the probe on one section. The probe locations and sections in these examples would have been chosen systematically and randomly. 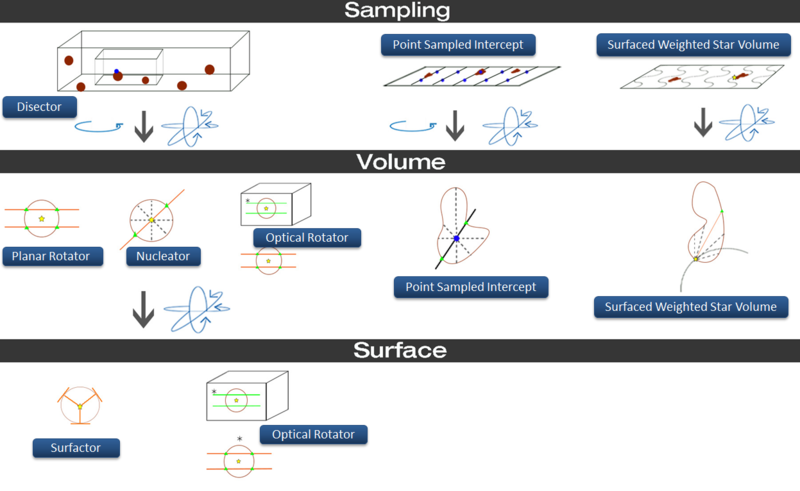 Local Probes Represented along the top of this diagram are three distinct ways to sample particles; while the arrows point to unbiased stereological probes to estimate the volume or the surface of the particles. Please hover the mouse over the diagram to see the names of the probes, and click for details of their requirements and basis in math.